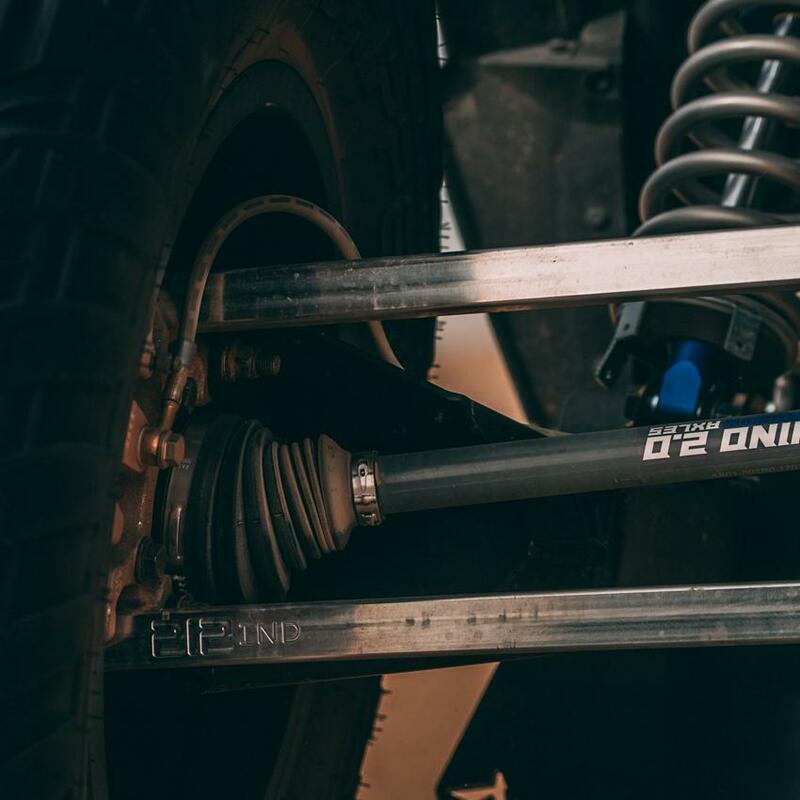 212 Industries heavy duty standard design radius rods are designed and manufactured in California using the best manufacturing capabilities and materials to complete our high end quality products. Our standard design radius rods were designed for strength and lightweight. 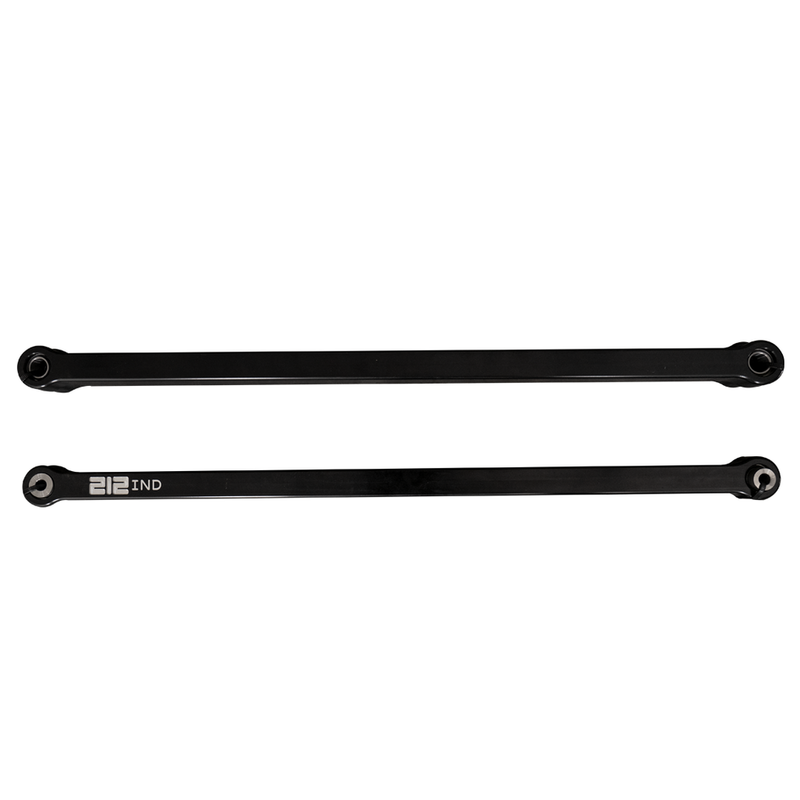 We use nothing but the best hardware, our high clearance radius rods come supplied with FK uni-balls so you have the added security when you're out hammering down on the trails. You also get what you pay for. Our products are made from aircraft 6061 T6 aluminum and hard anodized black for that finished look unless you're going for that raw look or would just like to powder-coat your own colors. 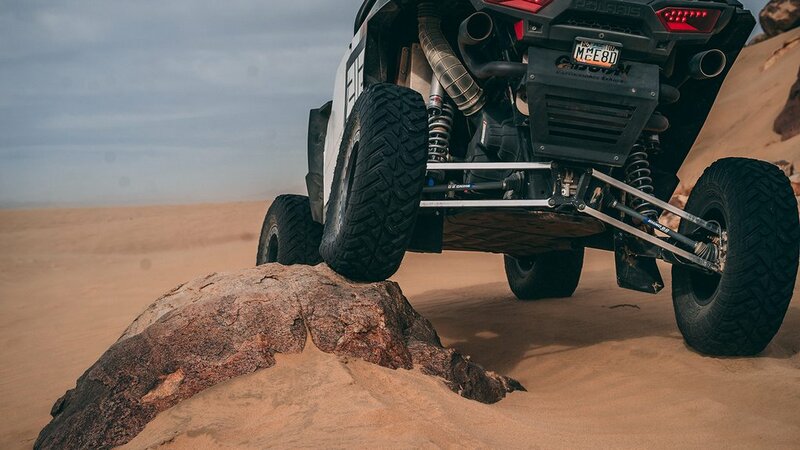 This kit will not only look amazing on your RZR, but will perform beyond OEM Specs.